Our Bernie Friend Latke Bash is an institution at Temple Isaiah. The Brotherhood arrives early to begin peeling, chopping, grating, and frying some of the best latkes you have ever tasted. Our Youth provides the games and entertainment. The festivities begin in the sanctuary at 9am with a Zimriah (song festival). The Latke Bash begins about 10. 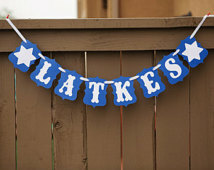 Please mark your calendar for December 2, for our Hanukkah Happenings and Latke Bash.